Record-breaking, trans-Pacific hot air balloon pilot Troy Bradley was in the crowd cheering on the competitors in the Aeromodelling final at the Dubai Mall last night, December 1. "This is all new to me," he said. "I'm enjoying it very much." Together with his Two Eagles Balloon Team partner Leonid Tiukhtyaev, Bradley shattered the long-standing distance and duration world records by flying from Saga in Japan to Mexico in January this year. 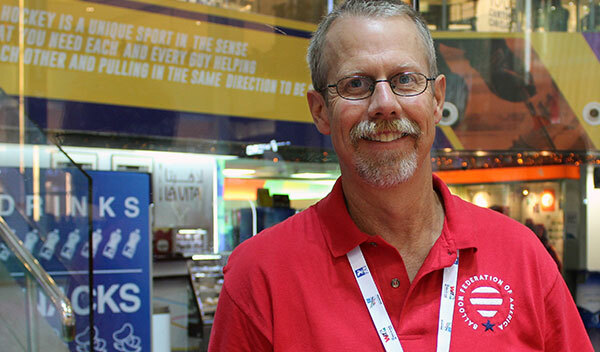 But Bradley, who was also a consultant on the 2009 Disney film "Up", is here at the FAI World Air Games Dubai 2015 as head of the US delegation, which includes 90 competitors all hoping for medals. "The World Air Games is huge in the US," he added. "It really is the Olympic Games of air sports."